The AC/DC TRMS Multimeter C.A 5289 of Chauvin Arnoux offers maximum operations comfort due to its elastic and ergonomic handling. Besides the optimal handling the AC/DC TRMS Multimeter C.A 5289 has other functions and technical data. Via a bandwidth of 100 kHz AC+DC/DC/AC voltages and currents can be measured as TRMS with accuracy up to 0.025 %. 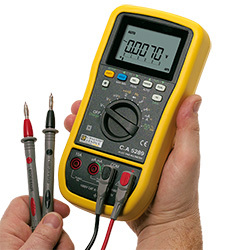 Another measurement values that can be taken by the AC/DC TRMS Multimeter C.A 5289 are: temperature, capacity, resistance, frequency, duty cycle, pulse width, continuity and diode test. 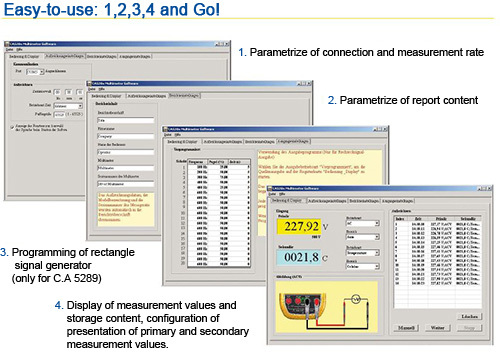 Functions like hold, peak, max/min, AVG, dB, dBm, dBv and REL are available for a better evaluation of measuring results. The installed squarewave generator and numerator/frequency meter make the AC/DC TRMS Multimeter C.A 5289 an all-rounder. 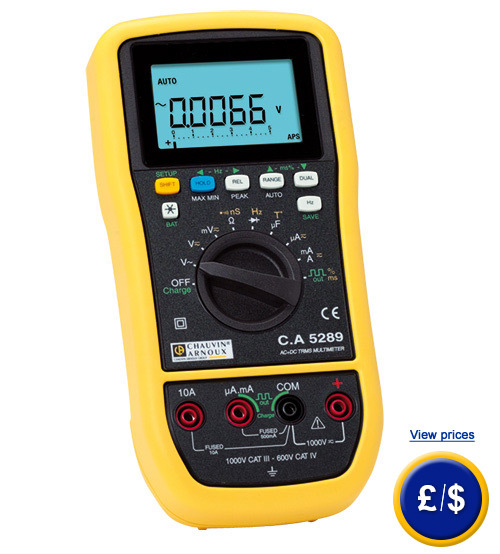 If you have any questions about this AC/DC TRMS Multimeter C.A 5289, have a look at the technical specification below or contact us: UK customers +44(0) 23 809 870 30 / US customers +1-410-387-7703. Our technicians and engineers will gladly help you with all multimeters and all products in the field of measuring instruments, regulation and control and scales. For optimal protection of the user and the PC data of the AC/DC TRMS Multimeter C.A 5289 will be transmitted via secured optical interface (see image below left). 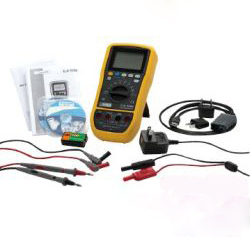 Via the optional equipment included in delivery (see image below right) the AC/DC TRMS Multimeter C.A 5289 is able to do all measurements.